My best DMing experience was the first session of a Ptolus game I ran back in D&D 3.5. I think it might have been my first Ptolus game after we finished up The World’s Largest Dungeon. I was fully prepared, everything hit on all cylinders and players complimented me after the game. It happened to also be the most number of players I had at once at that particular table. I don’t remember a lot of the details now (it was 9 years ago, after all), but I remember the PCs went into Ptolus’s sewers looking for some lost kids or something like that. My best playing experience probably happened at Gen Con. When I attended primarily as an attendee (I go now as an exhibitor on Author’s Alley) and Monte Cook’s OK — Your Turn message board community was thriving, we used to coordinate a bunch of off-grid games. It was like a mini convention within the convention. We played a lot of Monte Cook’s Arcana Evolved. One particular member of that board, Varianor, used to run faen (AE’s version of elves, but more faerie like, including a pixie-expy)-themed games. They were fast-paced, wacky fun. After a tense moment waiting for the vampire sentry to pass, our heroes decided to explore the upper courtyard in the opposite direction of her patrol. The central peak of the ice mountain around which the citadel was built loomed to their right, and a large tower was to their left. Several additional towers jutted out of the central peak. They passed by the tower* in the courtyard and found a small alcove in the side of the mountain used to store what the ogre guards passed off as ale. They marked the location as a good temporary hiding space and continued. As they rounded the side of the peak, they found a trail carved into the ice leading up toward one of the higher towers. The door leading to the lower levels was blocked by an avalanche of snow and ice, as though the interior collapse, but our heroes spied a balcony three-quarters of the way up the side of the tower. Tobin used his levitation spell to carry himself and Zinniana up. That door worked, and inside they found a room with a solitary stone coffin… guarded by the spawn of the vampire they saw on patrol. They fled, but the vampires followed them down, crawling down the side of the tower. Though they were peppered with arrows by the time they reached the group, the vampires proved resilient and Flint was forced to use flashy magic (remember, it’s night-time), ultimately destroying them with a Daylight** spell. Eschewing their original path, our heroes fled the battle site directly down the side of the peak, sliding on the ice back to the courtyard to evade the inevitable patrols. Any patrol investigating the battle would likely take the path toward the tower, so they were able to move about the side of the courtyard fairly unhindered. Our heroes ducked into a cave to get out of sight. They risked some illumination for Veya and saw all manner of creatures and objects embedded in the ice***. They followed the tunnels to a large cavern under the central peak. Clinging to the ceiling, like a great, icy bat, was a white dragon. Tobin made sure his cultist robes and mask were in place and approached. It twisted its head around and demanded to know his purpose. This picture is more accurate if you pretend the dragon and the stalagmites are actually on the ceiling. Tobin spoke to the dragon of treachery afoot, but the dull-witted beast was interested in two things only: food and treasure. After a few moments of trying to convince the beast it needed to know about the treachery in the cult, the dragon decided Tobin would suffice as a midnight snack. With half of the party affected by dragon fear, it made short work of Tobin and Broken Sky, despite the clever use of an immovable rod in an attempt to keep the dragon on the ceiling. Now, the Realms are likely to be plunged into a draconic apocalypse as Tiamat is brought forth from Avernus and rampages across the Sword Coast with an army of chromatic dragons. Perhaps a new group of heroes will arise to be the light in the darkness to come. And thus ends Hoard of the Dragon Queen. In theory, they could have kept going, but the players were so disheartened by the defeat, so discouraged at their chances of surviving the next session down two PCs, they voted to call it quits; a decision I left to them. Perhaps another group of heroes happened to be assaulting Skyreach Castle at the exact same time and happened to have two survivors of their own disaster to join forces with our heroes (about the only way we’d be able to work in two more PCs before the castle reached the Well of Dragons). But, I’m okay with the way things ended. Sometimes, the heroes fail, and by chance they passed by the key encounter that provided a safe way out of Skyreach Castle in favor of a decision that seemed logical at the time (the master of the castle would be in the tallest tower… not the shorter, fatter tower in the back). All was not lost after the vampire encounter, though, but it expended many of their resources and raised a general alarm. Fleeing towards the dragon’s lair might not have been terrible, had they encountered a dragon interested in cult politics (white dragons are historically dumb and this one really was not interested in talking to anyone who wasn’t bringing up more treasure or lots of food; Tobin’s miscalculation was in assuming a wyrmspeaker could intimidate a dragon). I appreciate the attempt at an epic scope in Hoard of the Dragon Queen (and Rise of Tiamat), but as with many Forgotten Realms adventures, there’s an elephant in the room HotDQ does not attempt to address (or if it does, it’s only mentioned in passing): what the heck are the high-level heroes on the Sword Coast doing during this time? If the situation is truly this dire, turning to nobodies from a small village doesn’t seem wise when people like Drizzt are still running around. 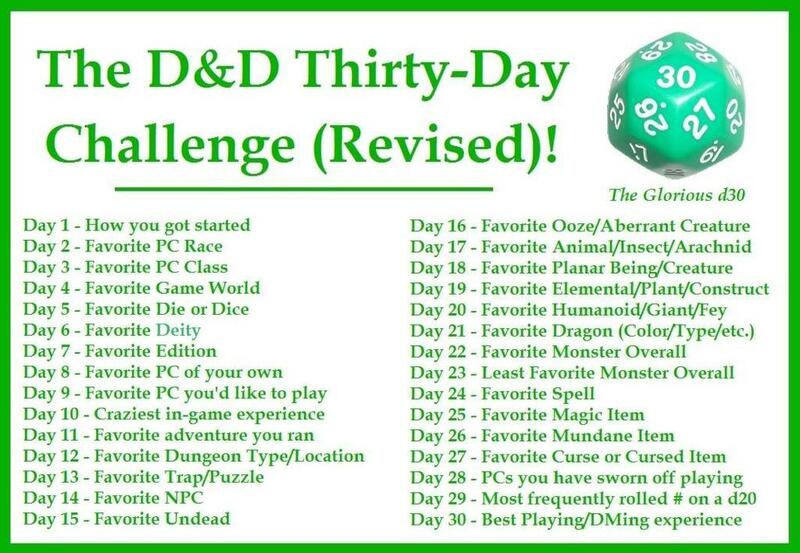 I know it’s addressed more in Rise of Tiamat with it’s coalition building, but there are a lot of head-scratching moments in Hoard of the Dragon Queen, many of which could have been resolved with a checklist or summary at the beginning of each chapter. * Had they gone into this nearest tower, they would have encountered the master of Skyreach Castle, a cloud giant willing to talk. It might have radically changed the outcome. ** The wording of this spell leaves wiggle room for interpretation. With Light and Continual Flame already providing magical light, Daylight seemed very redundant (especially as a 3rd-level spell), unless it also acted like sun light on undead… which is how I chose to interpret it. *** Had I remembered that Tobin had Draconic Lore as part of his background, I would have made him roll to see if he was clued into the fact that they were approaching a white dragon’s lair. This also would have been a good spot FOR THE FREAKING BOOK TO MAKE A NOTE OF THAT AS WELL (because I totally forgot about that aspect of that particular character). Really? People keep track of crap like that? I don’t. I have no idea. There aren’t any. I’ve never created a character that suffered so badly that he or she’s been ruined forever for me. There’s a general type of character I don’t think I’m particularly good at playing, though, and I would reluctant to try again, though I wouldn’t go so far as to say I’ve sworn off playing them: diplomats. I’m not good at thinking quickly on my feet and improvising plausible, persuasive dialog. I played a diplomat character (Baniss Mulk) in the last Star Wars game I played in and I was horrible at it. I much preferred my cocky pilot (Kelko Gen; sadly, he died when we tried to be heroes instead of self-serving mercenaries and the dice turned against us). A hammer and pitons is an often-overlooked set of items. Not a lot of people think their adventurers will be climbing sheer rock cliffs. While that’s true, the pitons can be used to secure a rope for climbing down into a pit, or wedging a door shut. Hammers are useful for all sorts of things, not the least of which is hammering a stake into the shriveled, black heart of the pesky local vampire. This one changes with each edition. In the AD&D days, it was an item called the Slate of Identification. I know identifying magic items was part of the mystery of the game, but in my experience, it only served to obfuscate bog-down the game at best or reinforce that DM vs. Player mentality at worse. I often gave this out just to skip that part and get back to the adventure. Flaming swords are always cool, or any weapon you want to put an effect like that one. One item always stands out though, one I often threaten to pull out, but have only done so twice. The first time I used it, it wrecked the campaign. The second time, I did it deliberately to end the campaign (which it did). Of course, I refer to the Deck of Many Things. It’s a magical card deck from which characters can draw a pre-specified number of cards. Some cards grant wishes, gold, or power. Others summon Death to attack you or magically imprison you, or worse, send your soul to another dimension, leaving your still-breathing shell behind, unable to do anything. It’s a doozy. One I’ve never personally been able to use in a game: meteor swarm. Something just appeals to me about playing a high-level wizard and obliterating your opponent with an attack that literally calls down asteroids from space to bombard them. It’s so badass. A swarm of anything. I hated them as a player because, at low levels, they seemed almost impossible to deal with wihout hurting yourself, and as a GM, they just caused more work for me with all the tracking and the player frustration. I just don’t like monsters that are frustrating rather than challenging. They’re like that itch you can’t scratch. While traveling through the swamp back toward the camp the cultists had been using as a waypoint, our heroes came up with a plan to ambush the cultist caravan. Using the Dragon Mask and his purloined robes, Tobin would impersonate Rezmir’s replacement while everyone else hid and waited for his signal to attack. The cultists were curious to hear the latest news from what appeared to be one of their Wyrmspeakers and gathered ’round, save for the lizardfolk. Flint popped out of the canoe and fireballed the group of cultists while the others attacked. They made short work of the unprepared cultists and the lizardfolk surrendered, offering information in exchange for their lives. The lizardfolk told them about the cult’s operations: they carted the treasure through the swamp to the castle, then sent the loot through a portal in the basement of the castle. The lizardfolk wanted nothing more than to kill the bullywugs in the castle, and with the cult leaders, dead, they saw their opportunity to wage war and claim Castle Naerytar for their own. Our heroes left the lizardfolk to their crusade and began the long trek back to Waterdeep. Once in Waterdeep, they called a meeting of the Radiant Shield to discuss what they learned. While they waited for the word to go out and the members of the council to gather, Ontharr Frume treated them to dinner at the Yawning Portal. He knew a wizard who might be willing to purchase the Farseer of Illusk from them. They met with Ontharr and the old man the morning of the Radiant Shield meeting and he offered them a magical bag full of treasures in exchange for the artifact. Seeing the practical need for magical weapons and armor in place of a giant magical telescope, they gladly accepted the trade. They also got rid of the evil, intelligent sword, placing it in the hands of Ontharr Frume, believe the paladin was the best man to deal with the evil-weapon’s fate. 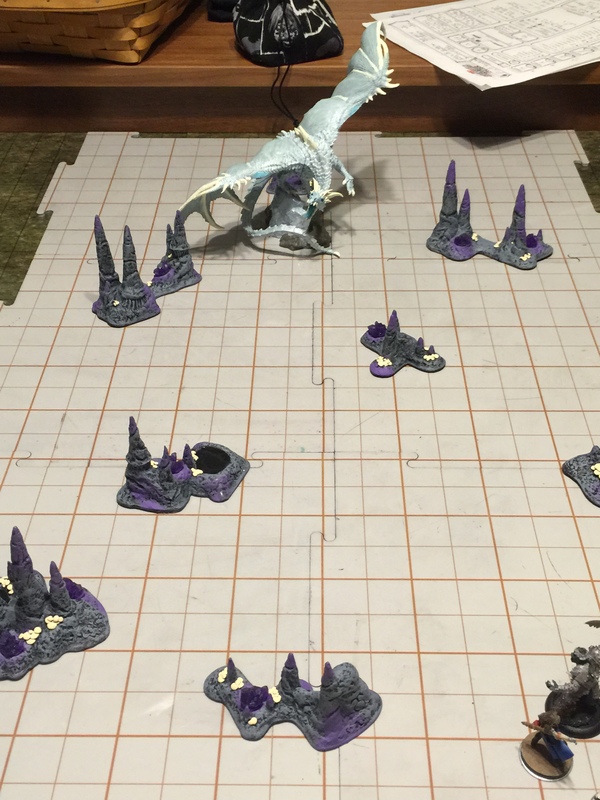 During the meeting with the Radiant Shield, our heroes learned the old man performed some divinations for Ontharr Frume and learned the cult was loading the treasure onto a Cloud Giant’s citadel and flying it to the Well of the Dragons. Since they returned to Waterdeep, they would never be able to return to Castle Naerytar, go through the portal, and intercept the cult before the flying citadel took to the sky. Therefore, they would ride with Waterdeep’s griffon cavalry in an attempt to intercept the castle. Days of flight later, they caught up to the citadel. Approaching under cover of darkness, and with the aid of silence spells, they leapt down into the citadel’s upper courtyard. At night, the citadel’s grounds were shrouded in fog. Our heroes found their bearings as a figure approached through the fog. They hid. The vampire warden slid by them, some how not noticing the intruders hiding in the fog. As the foul creature passed, they realized they were now surrounded by an enemy of unknown power while on a flying castle a mile above the ground. The only way out was through…. It was after the ambush that we discovered we’d been using Inspiration wrong. Some how, we got it in our heads that Inspiration could be used for re-rolls, and that seems to not be the case. Moving forward, we won’t use it that way anymore. It would have greatly altered the outcome of several battles thus far, including the ambush where Zinniana used up three characters’ Inspiration to make that initial stealth roll. I’m sure I messed up some details of the session; real life kept intruding when I was trying to write this and I’ve forgotten some details. They have completely skipped the Wilderness Lodge now (too bad; I was going to set up my Lincoln Logs). It seemed to be the best way to get things back on track and incorporate their cleverness at retrieving Greenest’s treasure and their skill at picking their fights. But now, they’re in the upper courtyard of the flying citadel with no way out, and technically one fewer level than they really ought to have at this point. The next session will determine the future of this campaign. Skyreach Castle will test their cleverness like nothing else has so far. It was such a great “Oh Crap!” moment when they realized they’d just enacted the D&D version of the D-Day -1 nighttime parachute landings… without a ground invasion to back them up in the morning. And yes, they really did give Hazirawn to an NPC paladin to dispose of; they were worried it would make one of them go on a party-killing spree.